The 7s: Once you learn how to build a bridge, you can make all kinds of connections. Each year the 7s reconstruct the Brooklyn Bridge. They research the history of this landmark using original and source materials. They walk the Bridge during field trips, trying to stand in the shoes of the people who designed it, as well as those who did the heavy lifting to create this American icon. Building the bridge will require the 7s to draw on a variety of skills (math, art, engineering, history) as they go from conception to construction. This is the grand structure the children create before saying goodbye to the blocks. The 7s social studies program is based largely on the children's work in blocks. The subject of study is New York City. Through extended block work, sometimes up to three or four weeks, the children explore the interrelationships among city systems of government, transportation, communications, commerce and utilities. The children draw upon their developing skills as well as books and trips to expand their knowledge of the world at large. Issues come up such as what do people in a city need to live, who makes the laws and how are they carried out, how are bridges built, how do people earn a living, how does traffic flow, where does water come from, etc. and throughout the year these various questions are answered and realized. Highlights of the program include a historical study of the Brooklyn Bridge and the building of the permanent city. The nature of the city curriculum encourages working as a group and the children meet daily to discuss the building and planning of their schemes. 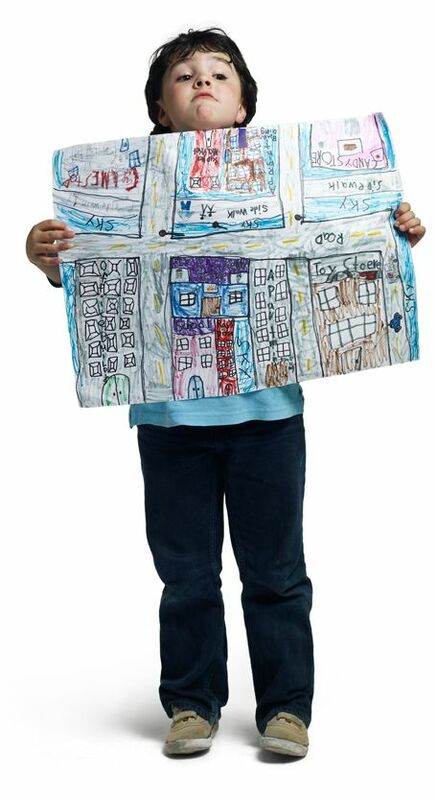 Because each individual building is part of the greater block city, children are expected to work together toward a common end, resolve conflicts, make compromises and recognize each other's needs and abilities. The 7s language arts program focuses on strengthening reading, writing and communication skills so that children become confident independent readers, writers, speakers and listeners. The reading program is designed so that each child receives appropriate work based on his or her own needs. It concentrates on word attack and comprehension skills, phonics work (including short vowel sounds, "silent e," digraphs, endings, blends, spelling patterns, etc.) and sight word reading strategies. Children begin to go to the Library for thirty minutes of independent reading at least once a week. This thirty minutes of guided reading for pleasure in the Library eventually becomes a daily activity, and continues every year through the 13s. The 7s math program is a mixture of group work, hands-on activities, paper and pencil work and concept-building games. Teachers draw upon a variety of resources, including teacher-made games and activities, as well as the TERC Math Program. Much of the math in the 7s is embedded in the children’s daily work. Therefore, the children are able to appreciate math as a natural and practical part of everyday life. The goal is for children to become confident, flexible math thinkers rather than rote learners. The curriculum includes a study of the calendar (days of the week and sequence of months) and clocks (telling time to the hour and minute and keeping track of the daily schedule). Children also have experiences with estimation, measurement (using rulers, yardsticks and liquid measure), patterns, money math, fractions, data collection (graphing) and coordinate mapping. The 7s practice reading and writing numbers to one thousand, counting by 2s, 3s, 5s and 10s, as well as understanding place value (as in ones, tens and hundreds). The children also practice adding and subtracting numbers between 0 and 20, as well as the addition and subtraction of two-digit numbers (with and without regrouping). Math games and manipulative materials are used to reinforce the basic concepts of pattern, number relations, strategic problem solving and spatial relations. Word problems are presented using the operations of addition and subtraction. These problems usually connect to the 7s social studies curriculum and block buildings or to the literature read. In the many math situations the 7s program presents, the children are encouraged to use a variety of methods to solve problems. It is expected that children discover the problem-solving strategies that make the most sense to them, and that they articulate their mathematical thinking to themselves and the Group. The children also have the opportunity to record their thought processes and strategies in writing. The 7s come to Science for one hour per week for each child in half groups. The 7s work with siphons and then make several basic electric circuits with bulbs, switches, etc. The siphon and electricity work leads to plumbing and electricity in the permanent city. 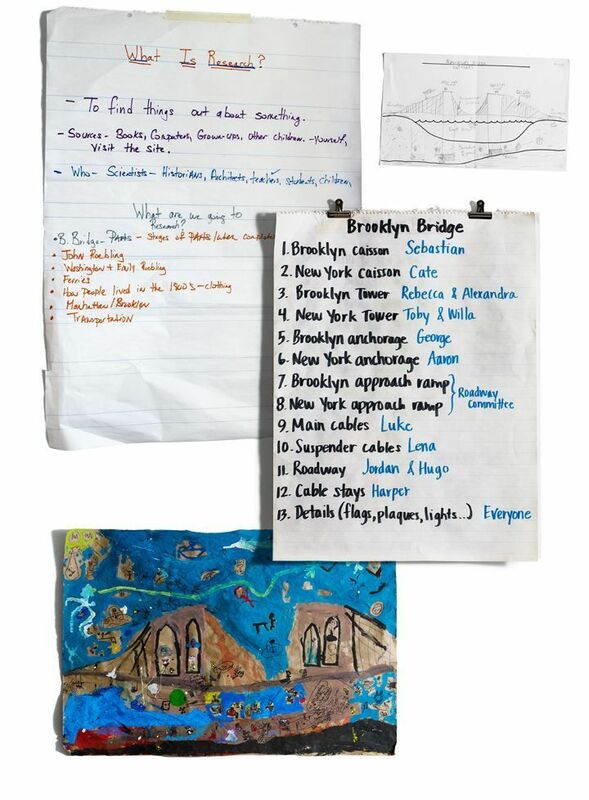 The 7s make different recipes of concrete and make concrete blocks for the Brooklyn Bridge’s construction. The 7s also work with balances and do some simple work with microscopes. The 7s Yard program includes a combination of building activities, running games, physical skills work and use of the climbing equipment. Unlike traditional outdoor play environments that have solely jungle gyms and climbers, children in City and Country’s Lower School work to build their own play structures. Building with the yard materials (large and small boxes, blocks, boards and sawhorses) develops strength, coordination, balance and self-esteem. Building also offers opportunities for physical and mental problem-solving. The group work associated with building requires social negotiations, sharing of materials and dramatic play. The children work as a group to pick up and put away the yard materials at the end of each building day. Children also have the opportunity to hone additional physical skills on the climber and slide. The running games that are a part of the 7s program also develop the children’s physical and mental well-being. Children learn to run and tag skillfully and safely. They also learn to play fairly, take turns and be a good sport. Children in the 7s also practice physical skills such as running, tagging, dodging, throwing and catching. These skills are drilled through games, relays and other skills-based group activities.